Jonathan Burnham was waist deep in Echo Lake Tuesday evening, part of a work party from the Echo Lake Neighborhood Association (ELNA) pulling cattails from Echo Lake. "There are two kinds of cattails," said crew leader Marla Tullio, "a native species and an invasive species." Unfortunately, the invasive kind have invaded Echo Lake at N 200th and Ashworth Ave. Volunteers were given a quick orientation to tell the difference, and a lesson in how to cut or pull the cattails out of the lake. Lakeside resident and former ELNA board member Barbara Lacy knows all about cattails. Barbara organized her family last year - and children and grandchildren held a cattail pulling session of their own. There are still cattails in the lake, but a lot fewer than before the work party. 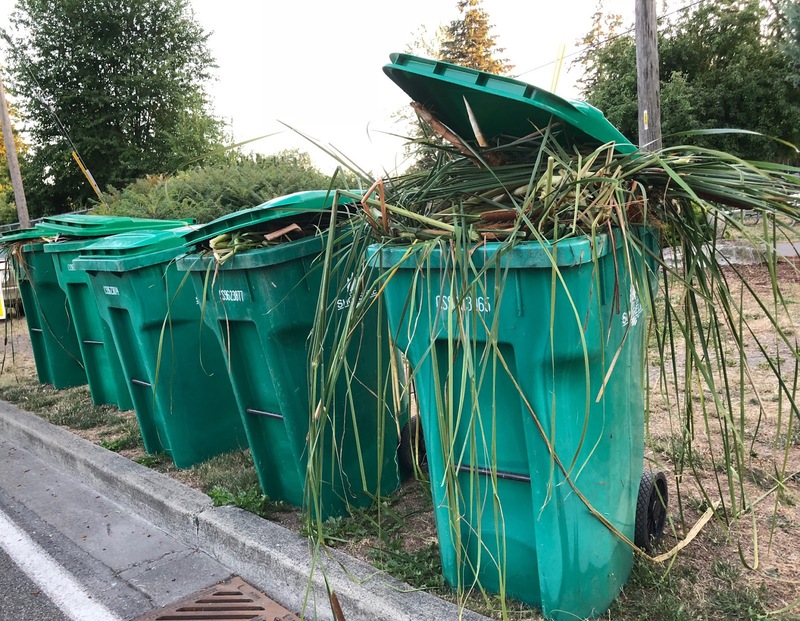 The City of Shoreline arranged for yard waste bins to be hauled away after the event.